Charlotte is the largest city in the state of North Carolina. The city has many financial institutions and also has the second largest banking sector in the country. To match the pace of technological innovations one needs to pursue a technical course like the Certified Scrum Developer certification in Charlotte for better career prospects. Young aspirants can easily enrol for this course in Charlotte by registering themselves online with KnowledgeHut. The CSD training in Charlotte is a course intended to instill technical assessment capabilities and Scrum principles into young aspirants. The comprehensive course aims to teach you all about the essence of Agile, Scrum basic, Scrum ceremonies and Scrum artifacts. The academy helps one understand the set standards and best practices for quick and quality creation of software. This bodes well in an organization where different teams are supposed to work in tandem towards a common goal. 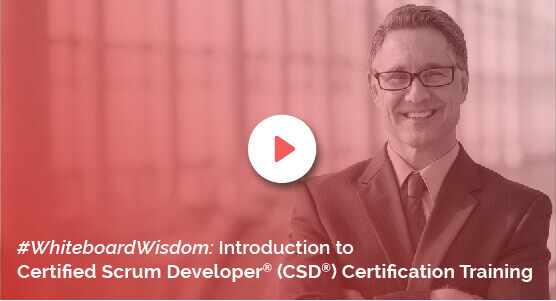 The Certified Scrum Developer training in Charlotte will expand one’s career opportunities across all industry sectors, giving that much-needed edge which is required in the fiercely competitive corporate world of today. Understanding the Scrum principles helps make big decision to adapt to a new methodology. The coaching institution provides high-quality study materials that help one easily grasp the fundamentals of Scrum. There’s a reason why both Agile and Scrum have been gaining popularity with time. The CSD course in Charlotte is a comprehensive course conducted by industry expert tutors. Interested aspirants can easily enrol for the course online. KnowledgeHut provides almost all the necessary practice sessions and lectures by experienced tutors to gain theoretical and practical knowledge.